First Listen: Mavis Staples, 'One True Vine' Produced by Wilco's Jeff Tweedy, One True Vine radiates reverence while summoning a slow burn well-suited to Staples' rich, dusky voice. Then, as the album blooms into something more celebratory, joy peeks through like slivers of sunshine. 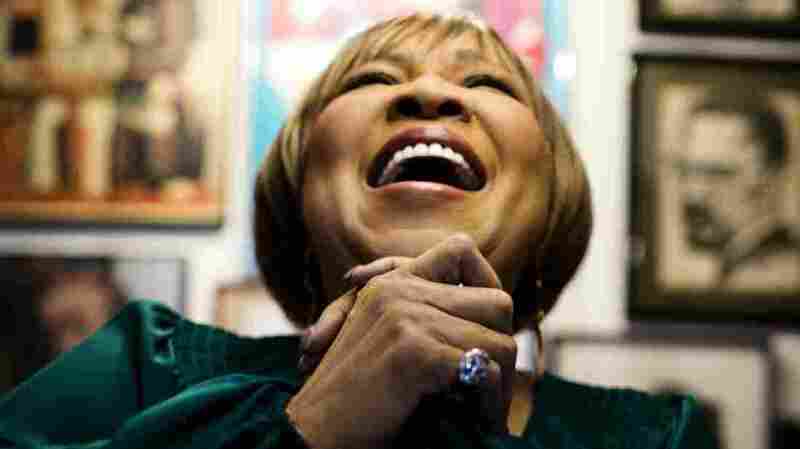 Mavis Staples' new album, One True Vine, comes out June 25. Now in its seventh decade, Mavis Staples' career has taken her through chart-topping hits with the gospel-soul family band The Staple Singers, performances for Martin Luther King Jr., enshrinement in the Rock and Roll Hall of Fame and a recent string of highly regarded solo albums. One of Staples' many high-profile fans, Wilco's Jeff Tweedy, produced and plays on Staples' 2010 album You Are Not Alone, and he returns to steer its fine follow-up, One True Vine. Out June 25, the new album finds Tweedy playing virtually every instrument — that's his 17-year-old son Spencer on drums — but, as Jeff Tweedy often does on records he produces, he tends to hang back, eschew showy flourishes and stay out of the way once the tape is rolling. This is Staples' showcase, and rightfully so, though Tweedy clearly had a hand in picking the songs, from "Holy Ghost" (by Low, whose new album he produced) to pieces by Funkadelic and Nick Lowe, to the three tracks he wrote himself. Though Staples remains a gregarious and approachable live performer, One True Vine as a whole is a more darkly solemn and deliberately paced record than You Are Not Alone. But even at its slowest, in the tentative search for salvation in its first half, One True Vine doesn't drag to a slog so much as radiate reverence, while summoning a slow burn well-suited to Staples' rich, dusky voice. Then, as the album blooms into something more celebratory — as Staples begins to find salvation and comfort — the joy in One True Vine peeks through like slivers of sunshine.